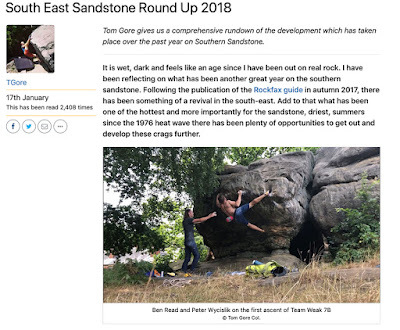 Ben Read and Peter Wycislik on the first ascent of Team Weak 7B (C) Tom Gore Col.
Tom is back with his yearly round up of new route and boulder problem news from the past year! It's been a big year for new ascents and Tom's intro explains why. "Following the publication of the Rockfax guide in autumn 2017, there has been something of a revival in the south-east. Add to that what has been one of the hottest and more importantly for the sandstone, driest, summers since the 1976 heat wave there has been plenty of opportunities to get out and develop these crags further." The list of new additions to southern sandstone has been rather extensive this year, with 47 being recorded on UKC. All you need to know about new route recording can be found over on our new routes page. 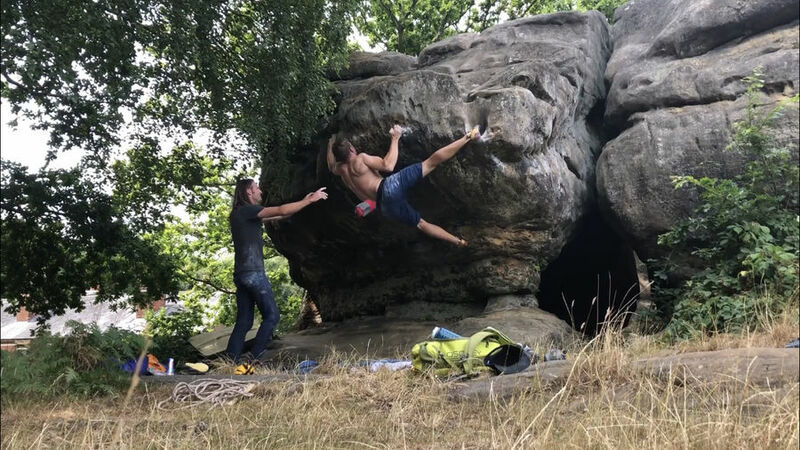 So check out Tom's excellent report over on UKC now!